Welcome to Dwedit's Website! Here you will find some of the most crazy flash movies which ever graced the Earth, as well as a few of the most-downloaded games for the TI-83 series of calculators! Use the side links on this page to navigate. You can also access the Dead TownEdit Page. Here's a really tiny utility for Windows XP. You can hit WindowsKey + Left or WindowsKey + Right to move and resize a window to fill the left half or right half of your screen, just like the Aero Snap feature of Windows 7. You can also use WindowsKey+Up to maximize the current window, and WindowsKey+Down to minimize the current window. The exe is really tiny, just 2kb in size. No system tray icon, you need to close it with the task manager. I've added some more NES covers to the NSF covers page! I've just posted a new Text Editor which is a clone of the Firefox extension it's named after. This text editor lets you look up Japanese words by moving the mouse over them, just like Rikaichan. I have created a page for my NSF Covers. 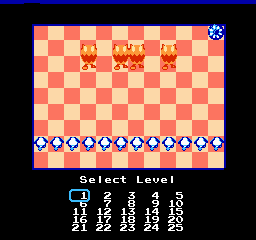 This page uses a flash-based NSF player, so you can listen to the songs without a NES emulator or Winamp plugin. 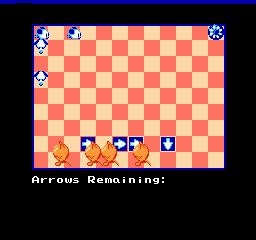 I have released an alpha version of NES Chu Chu Rocket, a NES port of Sonic Team's GBA/Dreamcast game. 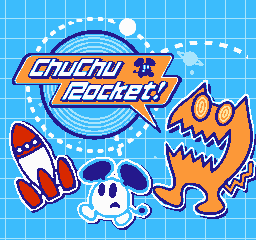 See the NES Chu Chu Rocket page for more details. 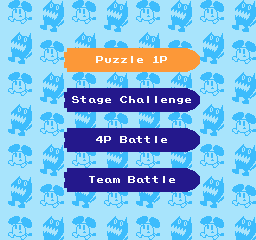 The game is not yet finished, but puzzle mode is completely playable. 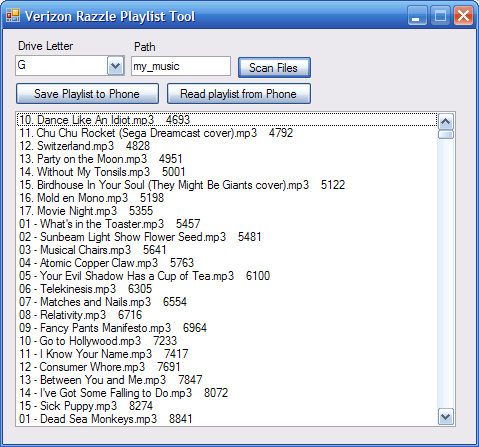 Because the Verizon Razzle TXT8030 phone has major usability issues as a music player, I made a tool which converts playlists for the phone. As far as I know, this is the only tool out there for that purpose! Otherwise you have to make your playslists by hand on the phone itself, which is basically impossible if you've dumped over 700 songs on it. I just added a "Developers" forum, where I'll be posting stuff related to software development. If you want to post there too, go ahead. I just updated several of the flashes, adding a Full Screen button, so now you can pretend that this site is Youtube. The huge bottom bar has also been removed from all the flashes, now just a short seekbar remains. The huge bottom bar ruined the ability to watch them in full screen anyway. 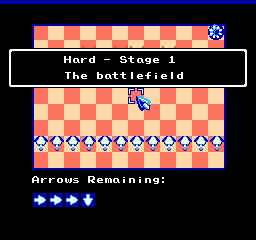 I also cleaned up some issues I had with JamezBond. If you can tell which changes I made, I'll give you a cookie. 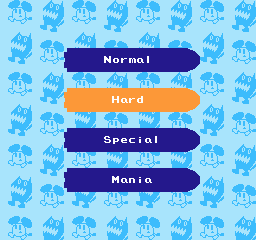 I also re-did the subtitles to Suzukisan, replacing the Pokemon names with the English versions. Reminder: If you have a dual core CPU, and are using Flash in full screen mode, set your web browser to use only one CPU. Bugs in flash player often cause it to freeze the video, while the audio still plays fine.